The sprawling Marine Corps base at Camp Lejeune, North Carolina, has been engaged in an epic Facebook battle against misinformation and wants you to know the base is preparing for the war against the pending onslaught of Hurricane Florence. Camp Lejeune’s social media comments have been hijacked by a slew of angry posts from Marines and family angered over the base’s decision not to enact a mandatory evacuation in the face of impending peril from the category four Hurricane barreling toward the Marine base. On Tuesday, Onslow County, which includes Camp Lejeune, issued a mandatory evacuation, but the Marine base made the bold decision to hold in place and ride out the hurricane. Instead, the base released nonessential personnel and put active-duty Marines on special liberty until 7 a.m. Monday, affording those Marines the opportunity to evacuate if they wanted to. The decision set off a firestorm from angry family members and Marines who argued the base’s decision was partially based on monetary concerns that could jeopardize lives of their loved ones trapped on the installation. “As a reminder, all non-essential personnel who are not designated in the upcoming fight against Hurricane Florence have been released from duty with their command's approval,” Camp Lejeune’s Facebook page posted on Tuesday evening. “There have reportedly been multiple comments that the decision to remain in place at Camp Lejeune is ‘all about the money.' Federal funding was authorized prior to Tuesday to support IF a decision was made to evacuate the base. Let me be clear, the decision NOT to mandate evacuation was made after my assessment of the situation. As mentioned in my earlier statement, this base is well-prepared to face the oncoming storm,” Brig. Gen Julian D. Alford, the base commander of Camp Lejeune, said in Facebook message on Camp Lejeune’s social media page. 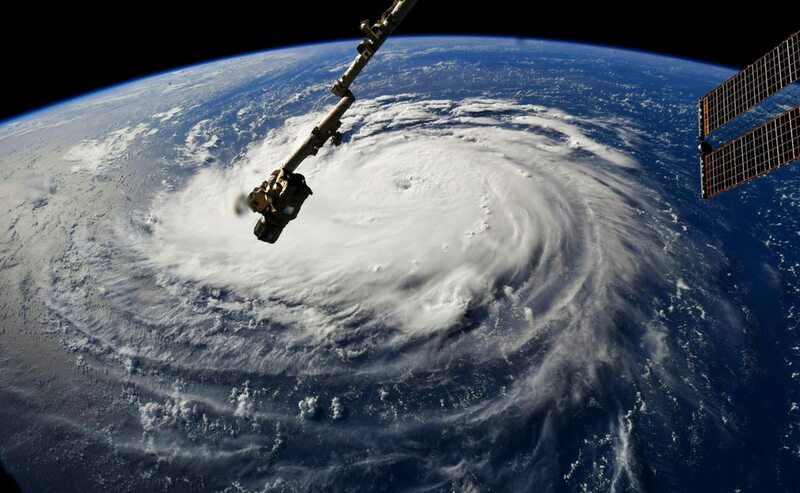 The base argued that Camp Lejeune is well prepared to handle Hurricane Florence noting that the base has appropriate hardened shelters, generators, medical facilities and specialized vehicles to respond to the storm. Furthermore, Camp Lejeune noted that many evacuation routes are prone to flooding and that supplies maybe overwhelmed imperiling any journey to evacuate the base. Camp Lejeune and Marine Corps New River Air Station are in the process of preparing a series of shelters and are asking residents to follow their respective social media accounts for updates regarding latest information. “I give you my personal assurance we are going to take care of everyone on this base. Since 1941, this base and its Marines have been postured to deal with crises at home and abroad and Hurricane Florence is no exception. Marines take care of each other, and I will expend every available resource to make sure that happens,” Alford said. On Monday, the recruit depot at Parris Island, South Carolina ordered the mandatory evacuation of thousands of recruits and military staff members. Late Tuesday evening, the base rescinded those orders in the face of new information that showed Hurricane Florence’s trajectory trending away from the recruit depot.